It is 7.11.17 today! The 7th day of each month will always be a special date for me since my Prince E came into my life. I love the date today. 7 is naturally my favourite number sice I was a kid, and the triple one in between, is my birthdate. (Random fact : my usernames and previous emails when I was much younger was sabrinatripleone haha) I also shared about my fixation with dates in my post The 1.11.11 of it. Anyways, enough about my obsession with dates. This was captured when we had our first family Raya shoot, mid this year. He is such a natural in front of the camera! On 7.10.17, I decided to share about my son in my post My Little Prince, E where I also shared why the 7th is an important date and how he has changed my life in the most positive of ways. Now, a month after, I feel like sharing 11 of the most memorable and treasured moments of him that we have managed to capture in pictures (Okay, there's millions of memorable and treasured moments with him - but sharing this now 11 just because it's the eleventh month of the year). I feel like he is growing up too fast. This morning we playfully sang the Happy Birthday song to him every time he saw me, his grandmother, aunt and grandfather. He was so excited, laughed and smiled. We even let him try some soft food stuffs that he has never tried before just because today is his birthday so it became an exception to the general rule. He is a happy, cheerful, active, smart, jovial and handsome boy and he brings light wherever he goes. I'm so blessed and grateful to have my son enter my life and brighten up not just my life but all of those around him too. My heart fills with so much contentment when I see him. Of course, being a mother to a living child is something very new to me and it does get challenging at times but after what I've went through previously, seeing my son healthy, active and moving about, there's really nothing more that can make me feel more grateful. He is God's gift to me and my husband. 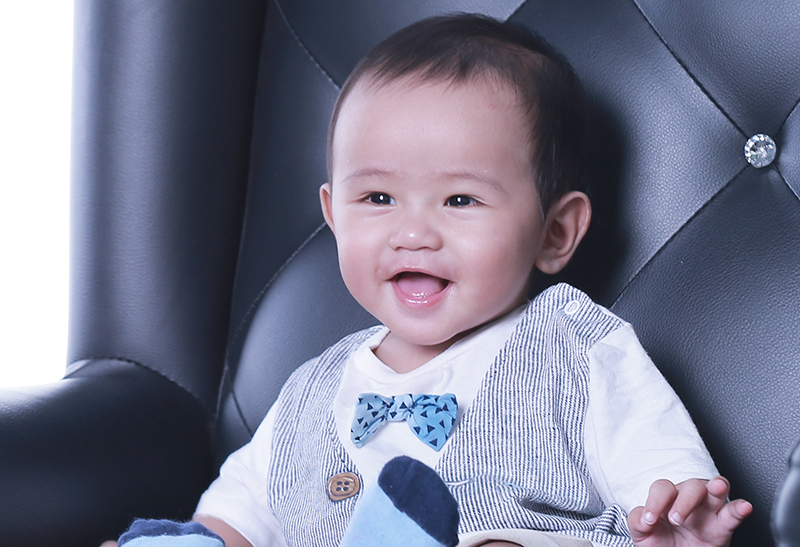 This particular month is even more special as Elhan received an unexpected gift from God together with his Mama and Abah. I shared about the gift in my post Change : My Universe. I am truly very blessed, beyond words can describe. They say photos are worth a thousand words. I say photos are worth beyond a thousand words. So here are the 11 images of my blessing and gift, little Prince E.
This was a night before Eid. I was holding him. Such a memorable first Raya together. 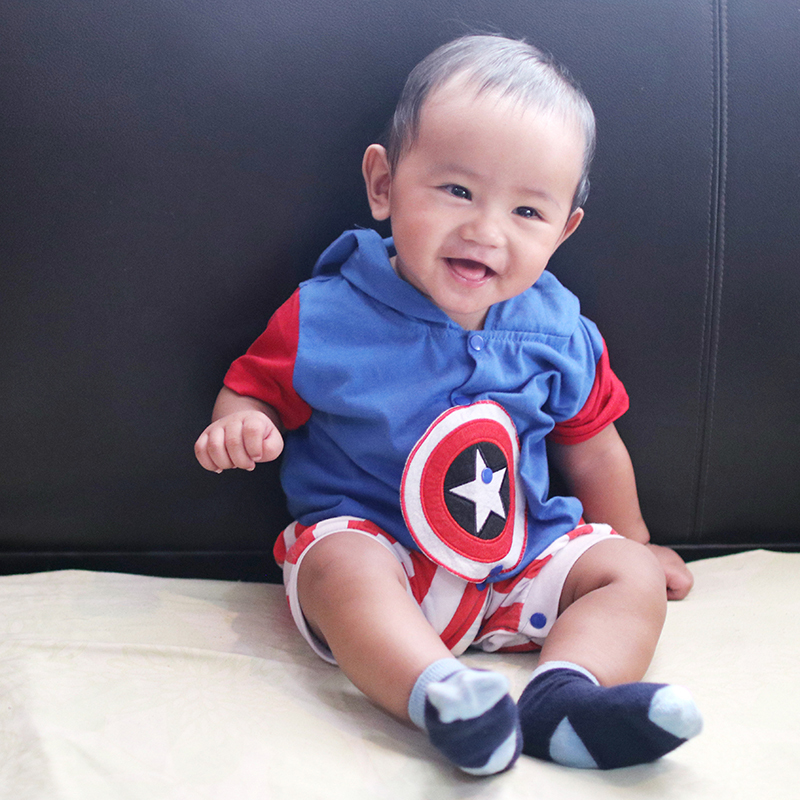 Sometimes we dress him up in superhero outfits that my husband bought for him. And he just loves it so much! ven now, 40 seconds might be the longest time that he has stood up without support. But before he even started to sit up, he loves it and gets excited every time we make him stand and do an OOTD like this hehe. My husband got this "Little Brother" outfit for Elhan. I was so touched to see it on him. When he is much older he will know that he has elder siblings who are waiting for all of us in heaven. This was when we went out for a wedding. How did my husband and I got so blessed and so lucky? The colours to my LIFE, my E.
I got this outfit from the Dida bazaar. The night before Raya in one of his baju melayus. 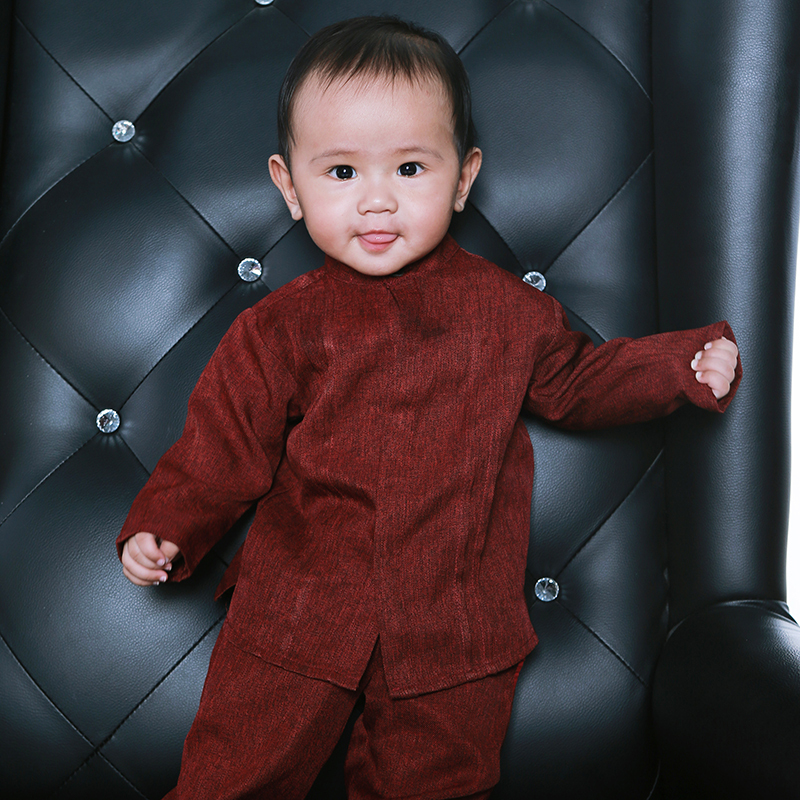 And here he is just a day before Raya, rocking aere's first designs for lil boys through aereKIDS! This was when he just started to sit up. Captured at Eyqa's child aqiqah. He is lovely and adorable with such innocence all over his face. The thing I loved the most is his cute smile which makes him just like a small angel from heaven.